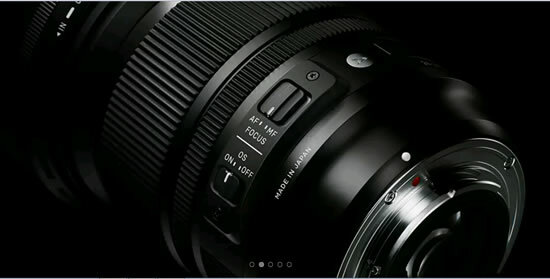 Sigma announced the new 24-105mm F4 DG OS HSM, the standard zoom lens from Sigma Art line, offering stable and fine image quality from wide to mid-telephoto range. The SIGMA 24-105mm F4 DG OS HSM covers the most commonly used zoom range, from wide-angle to medium telephoto. It also takes usability to the next level, offering F4 brightness throughout the zoom range, OS (Optical Stabilizer) functionality, and HSM (hypersonic motor). The Sigma 24-105mm F4 DG OS HSM is an ideal lens for many types of photography such as snapshots, portraits and landscapes.